This adorable bracelet is perfect for anyone Ivory Pearls Interwoven with Smoked Topaz Crystals. Classy simple design makes it the perfect accessory for any occasion. 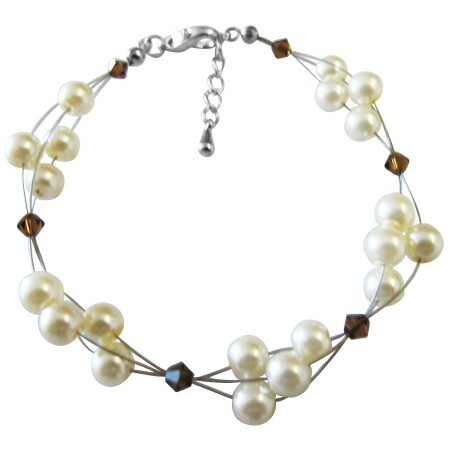 Smoked Topaz Crystals with Faux Ivory Pearls wire Bracelet Lobster clasp bracelet to create a gentle & elegant Bracelet. This Bracelet Delve into a World of Glamour.